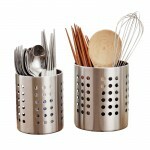 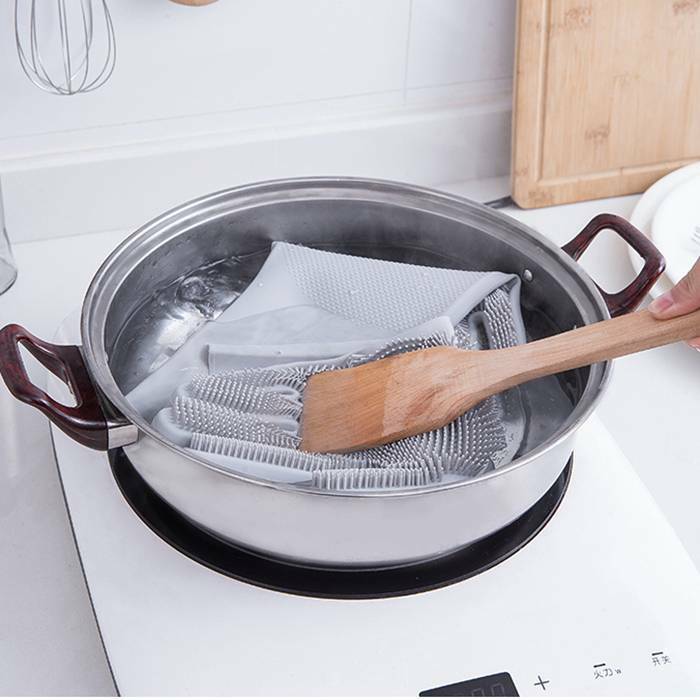 It is easy to rinse with water, and as it can be sterilized in hot water, it realizes bacteria zero. 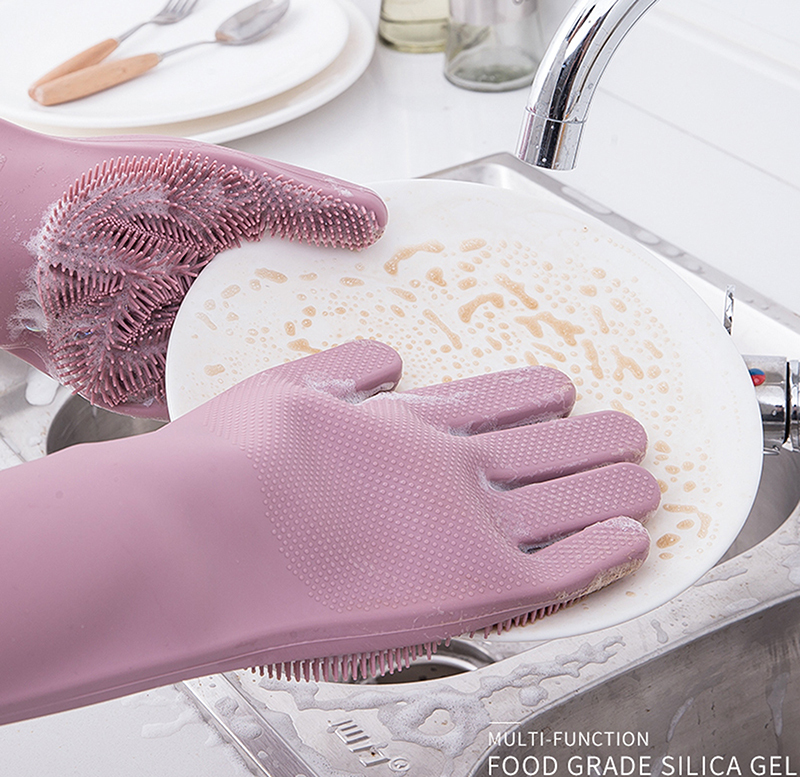 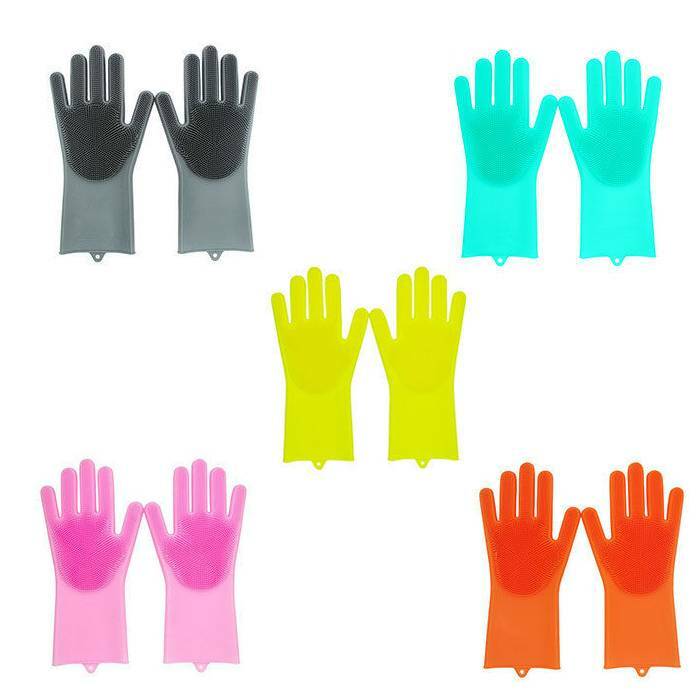 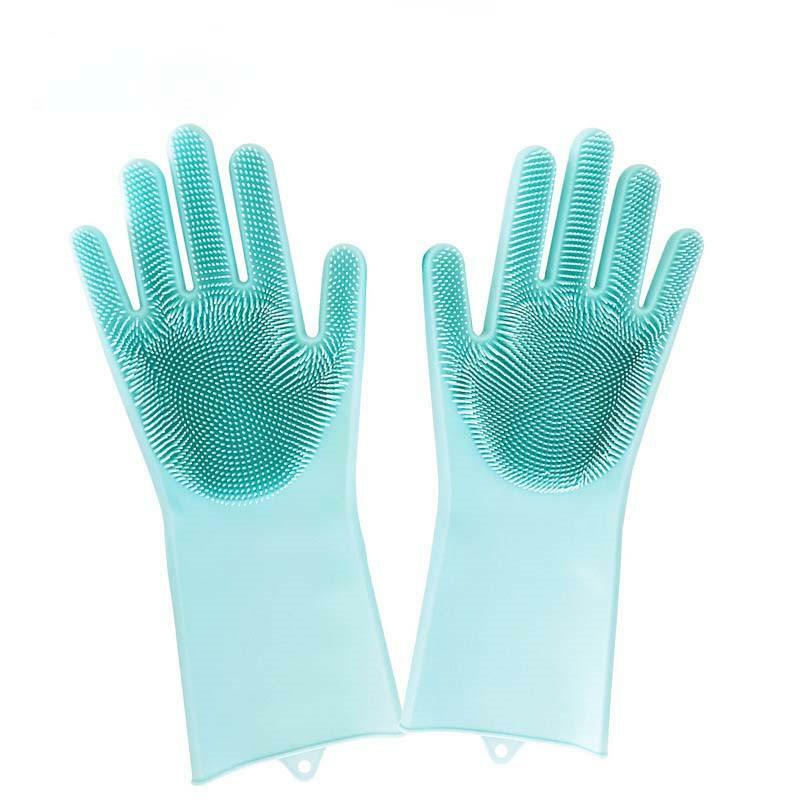 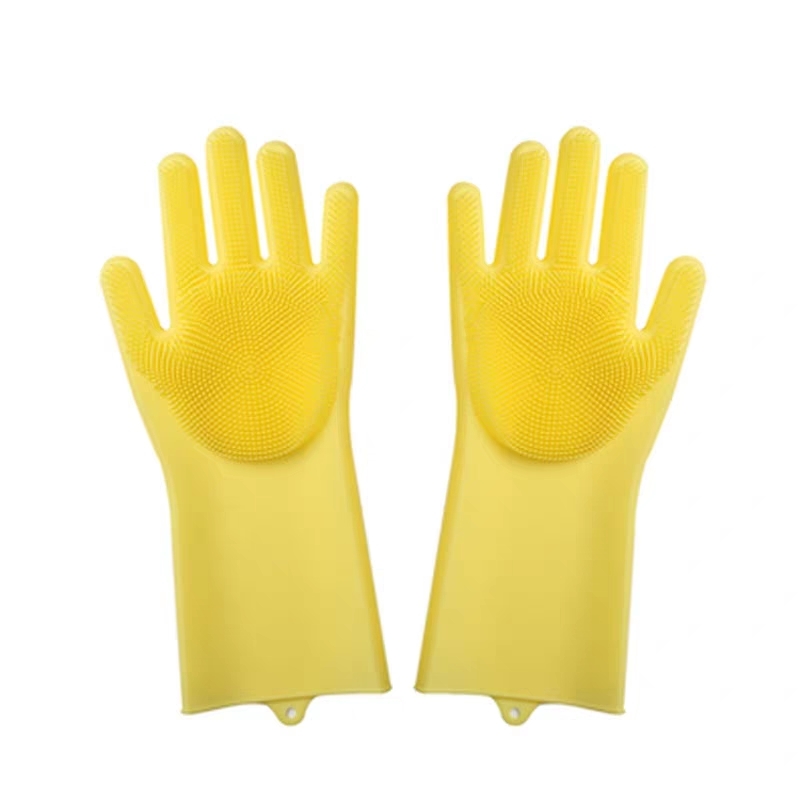 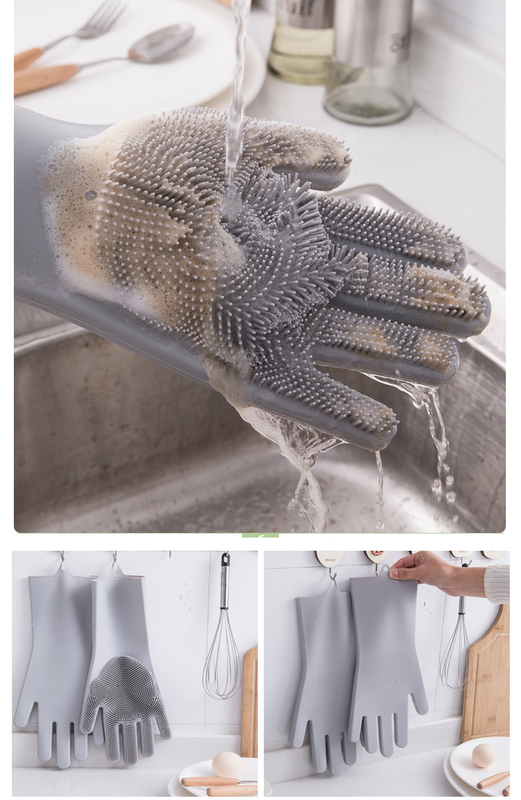 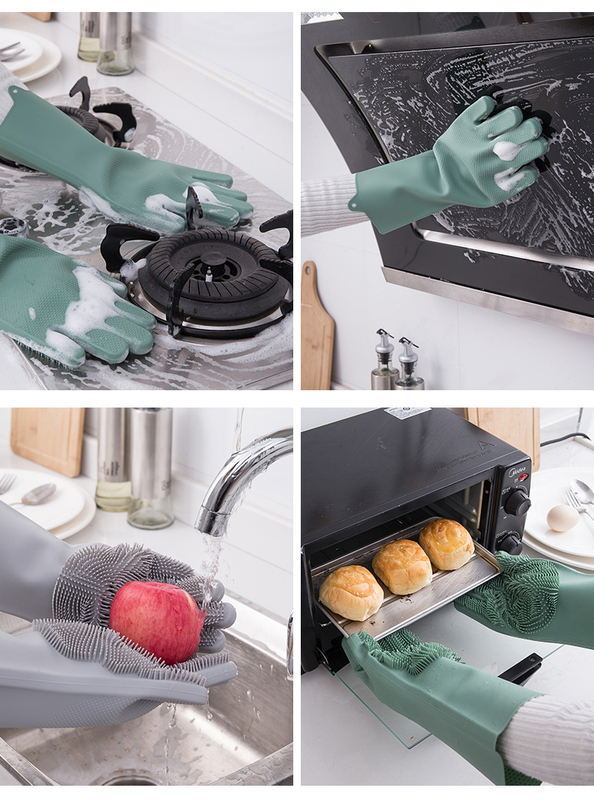 Convenient, simple and durable multipurpose gloves as it combines the function of scrubber and rubber gloves. 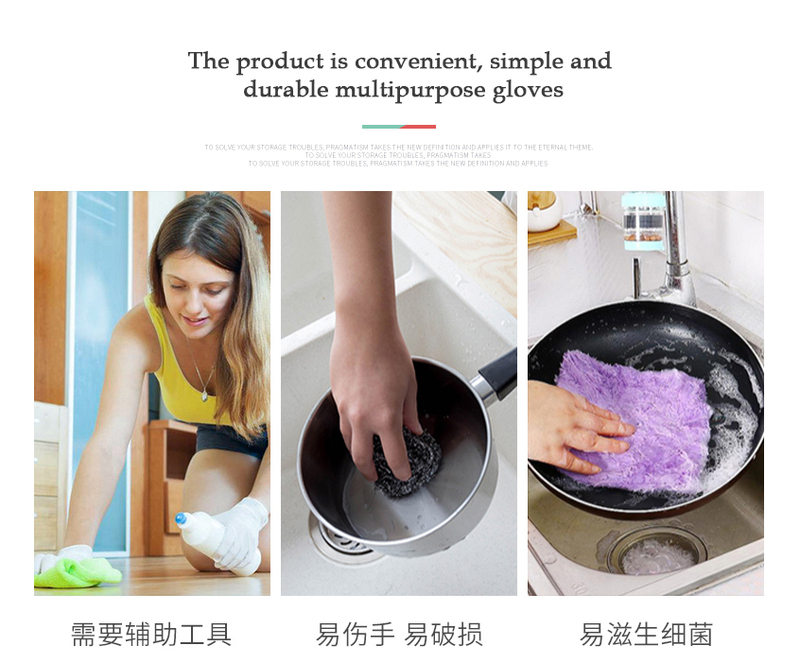 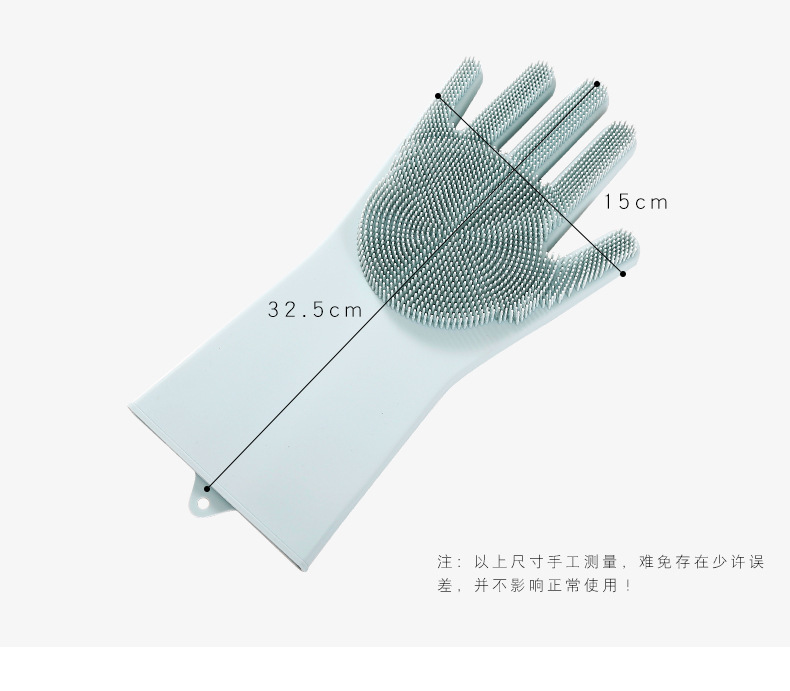 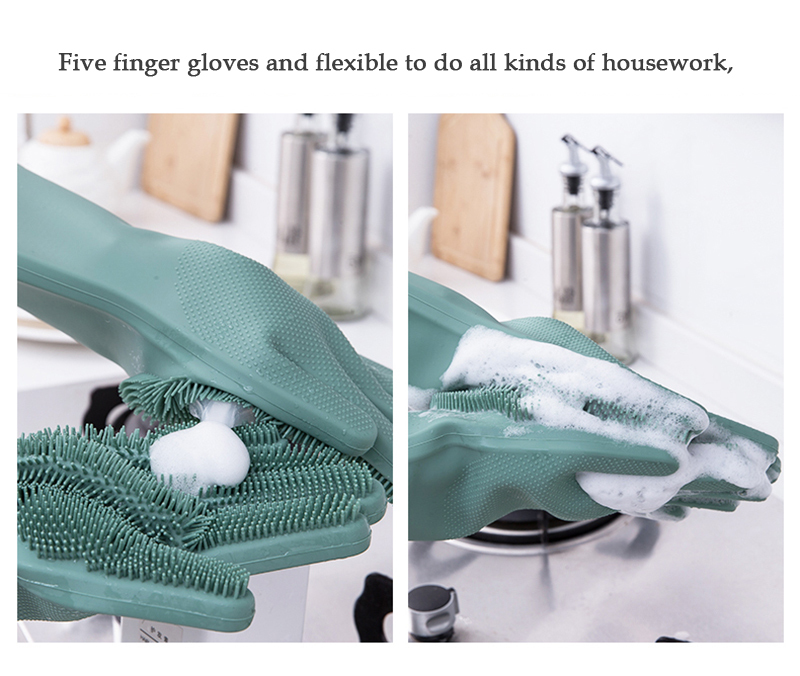 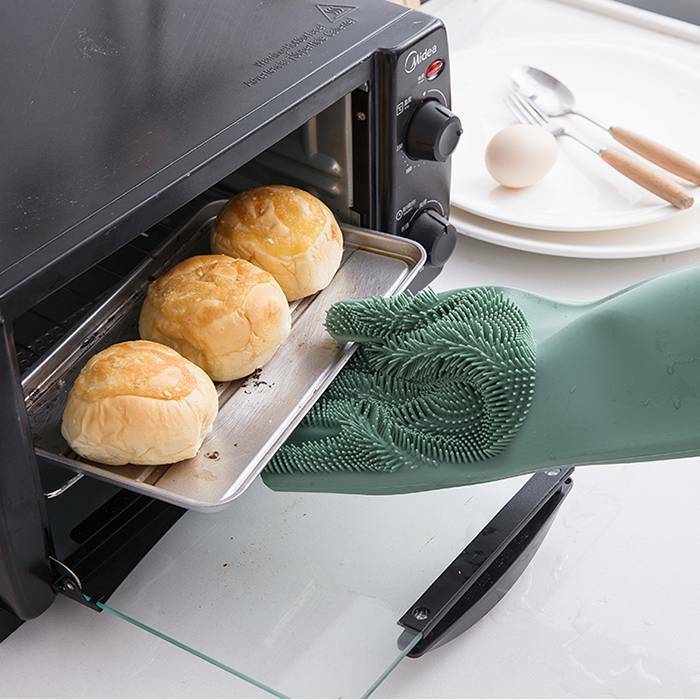 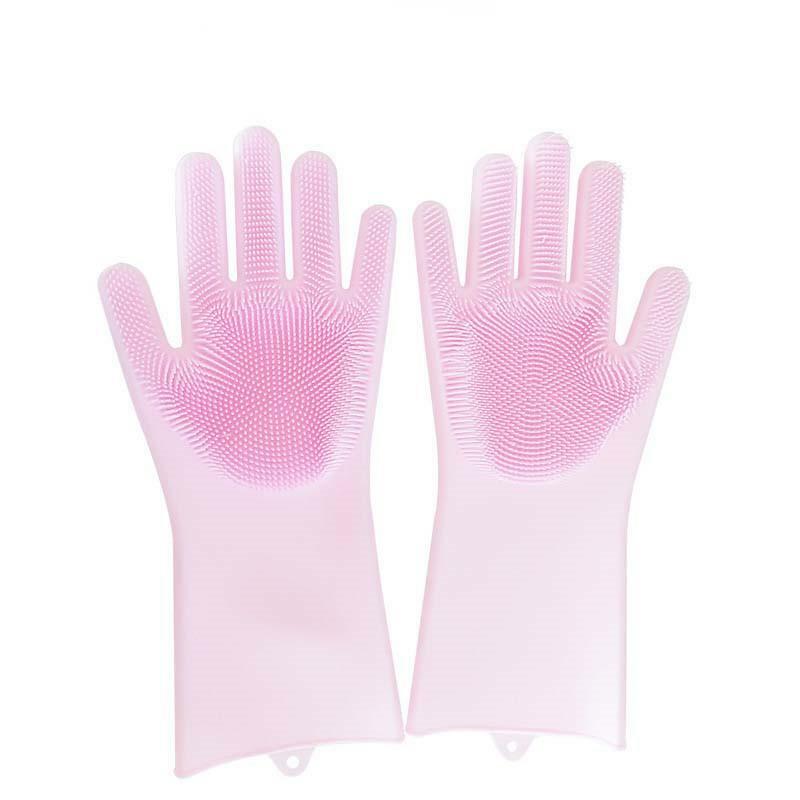 Five finger gloves and flexible to do all kinds of housework, the ability of skin-friendly and anti-oil, no worry about do harm to hands.